Hello there Scrap Around The World fans! 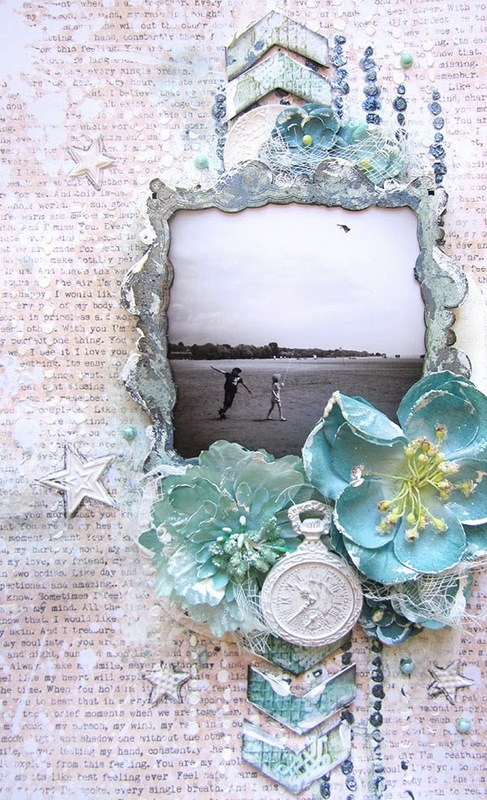 The SATW blog has some extra inspiration to share with you from one of our sponsors this month: 2 Crafty Chipboard, who are Guest Designing for us!! Since I’m on both Design Teams, I decided to create another layout this month inspired by the sketch and the October Mood board. 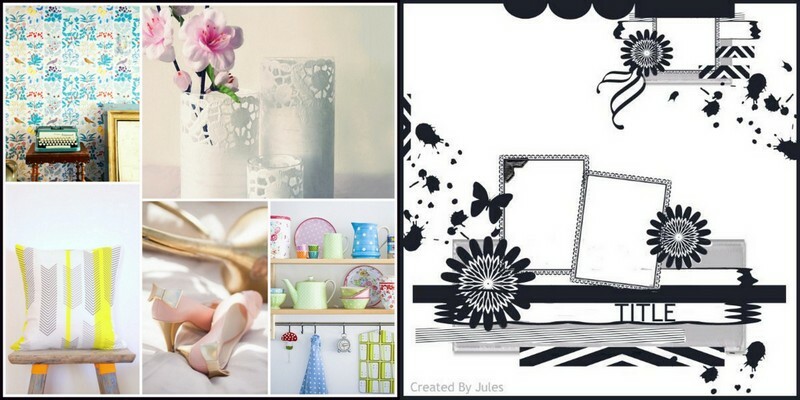 This is our current Mood Board & optional sketch. I got inspired by the blue hues, the chevrons and the flowers. I used papers from 7 dots Studios: Messy Head and 9th Wave collections. 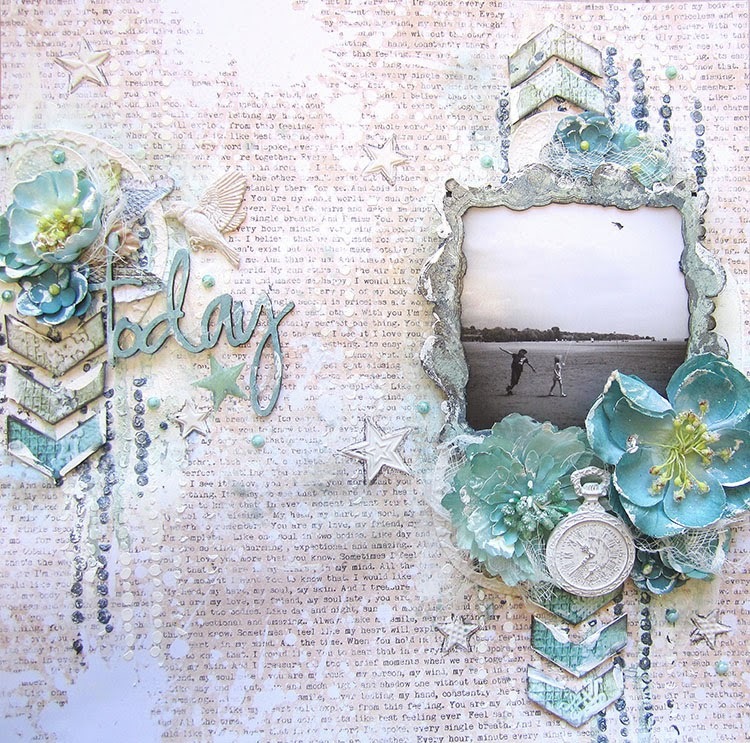 I complimented the layout with Prima flowers and resins and with 2 Crafty Chipboard. Today-Loopy Font: I primed it in gesso and inked it in teal chalk ink. wowwwwwwwwwww!!!!! i love love love those flowers, the colors, the watch and that amazing frame!!!!!! so very gorgeous Keren…love the colors! Happy Thanksgiving to you and your family! It seems like ages since I visited and I've missed your gorgeous layouts. I love the colours and the design of this one and the chipboard title is beautiful. Just stunning Keren. Love the elements around the image. This looks wonderful.. I love the design and love the back ground and all the flowers!! Beautiful work, Keren, just a question for you! did you but the static mask back on top of moulding paste to color it blue to keep the color were you wanted it to stay? Or how did you mange to not get the blue around the masking? So in love with this page! 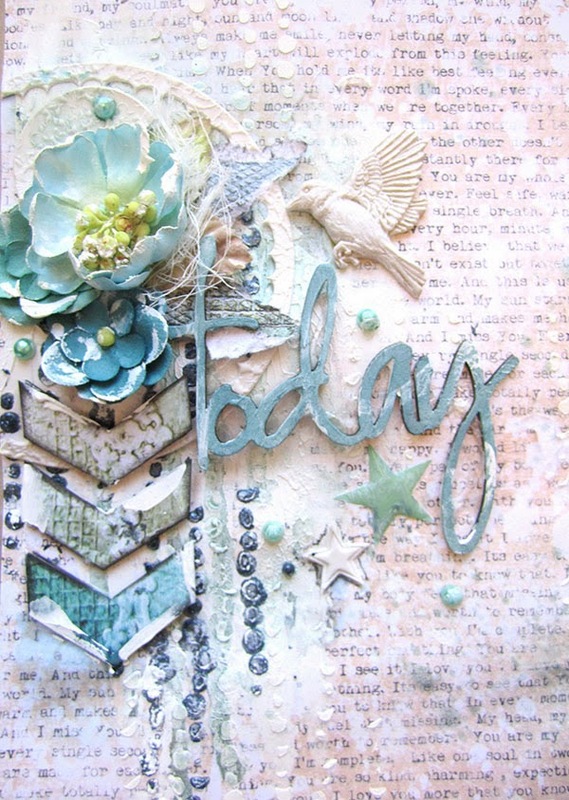 Just a fabulous page Keren…love the soft details and colouring…just perfect!